In today’s always-growing digital world, what you look like and the things you do (along with your personal information) can easily be obtainable by anyone and can end up in the hands of the wrong people. As a defense against this, society has put an importance on being safe, secure and making sure to look good while doing so. 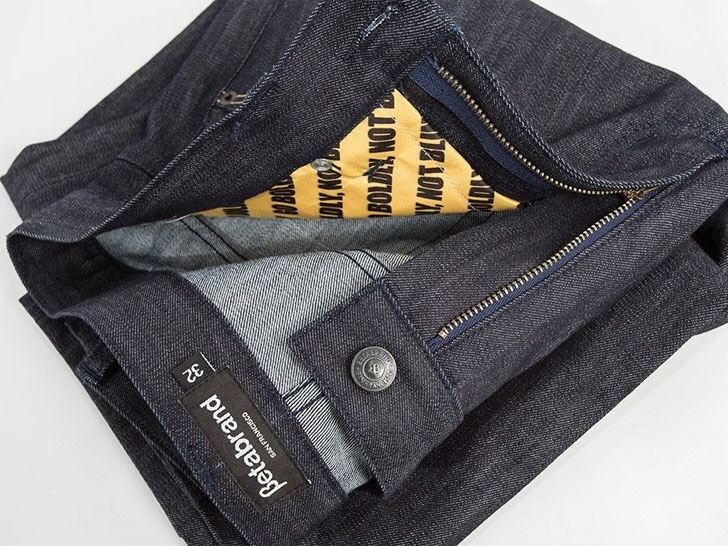 Betabrand designer Steven B. Wheeler collaborated with the worldwide information-protection authority, Norton to design the first ever pair of RFID blocking jeans: READY Jeans protected by Norton. ​RFID blockers, or radio-frequency identification blockers, is what makes these jeans stand apart from the rest, and works as part of the material that line two pockets of the pants in order to stop digital-pickpocketers and their RFID readers. The reading devices use radio waves to obtain data and personal info from things that may be kept in a pants pocket, such as credit or debit cards and any form of ID or passports. ​According to Norton, each year over 10 million identities are stolen and a large portion of these incidents are because of “credit card skimmers.” Since this product would be servicing a large consumer audience (many of whom have been victims of credit card fraud), crowd funding for the READY Jeans campaign took off quickly and became successfully funded in early January. Having Norton’s digital security on the job is a no brainer, but in order for people to want to indulge in this preventative product, it needed Wheeler and his San Francisco team at Betabrand to stylize it. On their website, Betabrand boosts a “high-performance stretch denim” for comfort and quality, all said to be made in the USA. You can now order your own READY Jeans for $168 a pop, but the website does also caution consumers: While the jeans are manufactured to help prevent identity theft, and the RFID blockers used work with “100% certainty,” the materials can still be subject to faults and general wear and tear.